Dan vs Dana. Here we go. Talk about it. I kinda penciled this one in as a loss, just they way MSU killed Loyola there. If we win this one then I'll be okay with the turd of game we played against Valpo. This game, and really the whole MVC season, is a swamp. But a very complex one. A swamp with many political overtones and resonances that can't be fathomed at the present time, but need the distance of the future to give it a perspective so that you can truly have a point of view, and realize the viscosity of that quagmire. And the only way to understand this is to realize that it's incomprehensible. In all likelihood in that scenario, the end will be an unseen, unexperiencable phenomena that, because it is unseen and unknown, cannot be fully confirmed if it in fact would ever happen. So instead, the focus should perhaps be on the means to the end, if such an end possibly exists at all. Why are peeps referencing the universe when talking about the MVC and ISU hoops? Very few know of or have observed either. Should be referencing quantum mechanics. I hope we're Dr. Jekyll this game. If not, will you be Mr Hide? I gave this team no chance in their last road game vs Drake and they surprised me and played really well. So I'm saying they'll lose this game hoping they prove me wrong again. 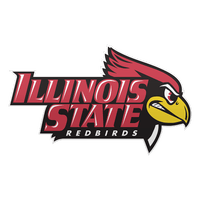 Watched the SIU-MSU game the other night; no Valley team seems to be able to produce a good solid forty minute effort on the court. Only TPguy knows what the end is. I have no clue. The other 9 teams can say virtually the same thing. I just hope we win. That Valpo beatdown was a troubling sign of a team that seems to have thrown in the towel. If they threw in the towel, they wouldn’t have cut it to single digits twice in that game. Also, after the Bradley game they won 3 in a row and one of those was a road game no one thought they would win. They are just a maddening team to watch but I do not think they have thrown in the towel.